In response to the police killing of eight activists and injuries to more than 100 others at a teachers’ protest in Nochixtlan, Oaxaca, Mexico, on June 19, people rallied outside the Mexican Consulate in Philadelphia on June 20. 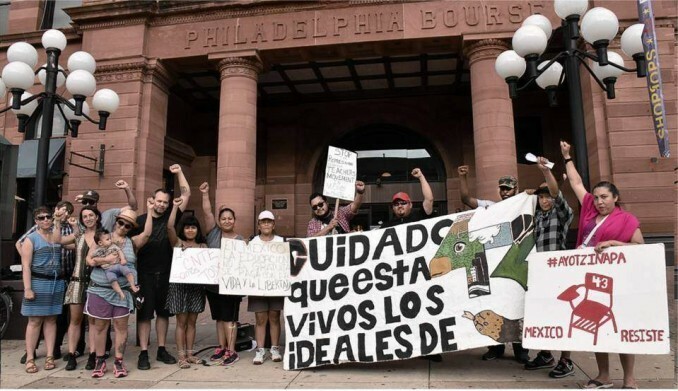 The Philadelphia Solidarity With #Oaxaca protest demanded that the police assassins be brought to justice, and that all the teachers and unionists arrested be released alive and unharmed, including leaders of National Coordinator of Education Workers (CNTE). Teachers in CNTE are resisting President Enrique Peña Nieto’s education reforms that would impose mandatory testing on teachers and leave schools in rural areas unable to function. Police opened fire as teachers and their supporters blockaded roads, staged mass marches and set up encampments. Mexican Federal Police are notorious for scores of political disappearances, murders and cases of torture. In November 2014, some 43 students at a rural teachers college in Ayotzinapa were disappeared by police in collaboration with a drug cartel. 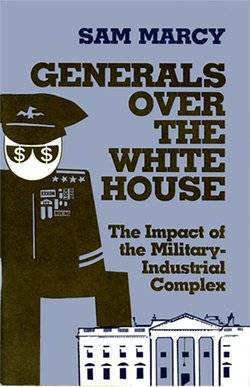 This crime led to massive protests against government violence and corruption that continue to this day.